UFO mania: Alleged "Project Serpo" Sent U.S. Military team to another planet? Alleged "Project Serpo" Sent U.S. Military team to another planet? 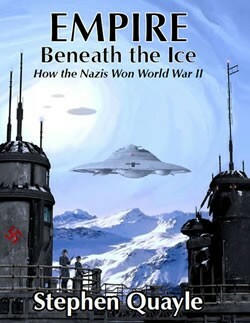 We’ve all heard about reports of unusual and unconventional secret government projects. Some of them seem so far out that you wonder if they are real or an “urban legend” floating around. Yet, many of us understand that people within our government and our military sometimes face unusual and strange phenomena in the course of their duties. According to a mysterious source’s comments on a recently-developed Web site, Project SERPO was an effort developed between the late 1940s and the mid-1960s. It was a joint project between the U.S. Government and a race of friendly beings from a planet in the Zeta Reticuli star system. The source claims that diplomatic relations were established between the U.S. Government and these beings after their spacecraft crashed in New Mexico in 1947. Aw, give me a break, you may say. What have these people been smoking – medical cannabis or something? We’ve heard and read about unconventional government projects before such as “remote viewing” intelligence-gathering methods, time-travel physics research, psychological studies on “magic mushrooms,” unusual non-lethal weapons and similar efforts. But relations with visitors from another planet? That’s not all. 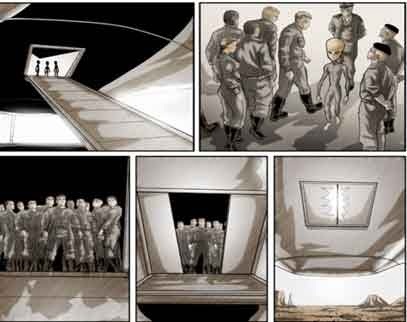 Information on SERPO describes a project that selected and trained a joint-service U.S. military team to board a spacecraft of these visitors and go to their home planet for a planned ten-year stay. And, that in the mid-60s, this was successfully accomplished. Most of the team members returned and were debriefed. Remember the movie “Close Encounters of the Third Kind?” Remember when the government teams set up a landing zone for the “visitors” and how Army Special Forces personnel assisted with covert logistics? Remember how 12 people in red jumpsuits were transported to the LZ for boarding? The entries on serpo.org allege that this is based on fact. In addition, the information posted there and elsewhere indicates that the government has been struggling since the 1940s to figure out how to break this kind of information to the general public without creating anxiety and negative disruption. According to the information, various efforts have been underway over the decades to gradually prepare us for this reality. Well, do you buy it? It would make a good novel or movie, that’s for sure. Is it possibly true or is it just someone’s imagination and a bunch of warmed-over stories from movies, writings and UFO lore? If there was some truth to it, how would Americans and the rest of humankind react? Would we have open minds and hearts toward friendly visitors? Would we feel intimidated if they had more advanced technology and knowledge? Would we hate them because they look different and have different beliefs? Undoubtedly, it would add more complexity to our view of things. Not only do we have trouble getting along with other countries and other people who are different, now we would really need to be tolerant and open-minded. And, are there other kinds of "visitors" who are not quite so friendly, or even dangerous in some way? This could explain why our government officials might have thought it wise to keep information like this from the general public. According to information on the serpo.org site, there are responsible people in and out of government who may now believe that the time is right for more gradual disclosure of information about this situation. These people, people with compassion and vision, could feel that we might now be ready to obtain some understanding of the situation and react responsibly and with intelligence. Of course, it could all be bunk. There may be no truth to it at all. Probably not. Right? 'Shadow entity' caught on night camera ? Video: Did you see this UFO hovering over Bushey?